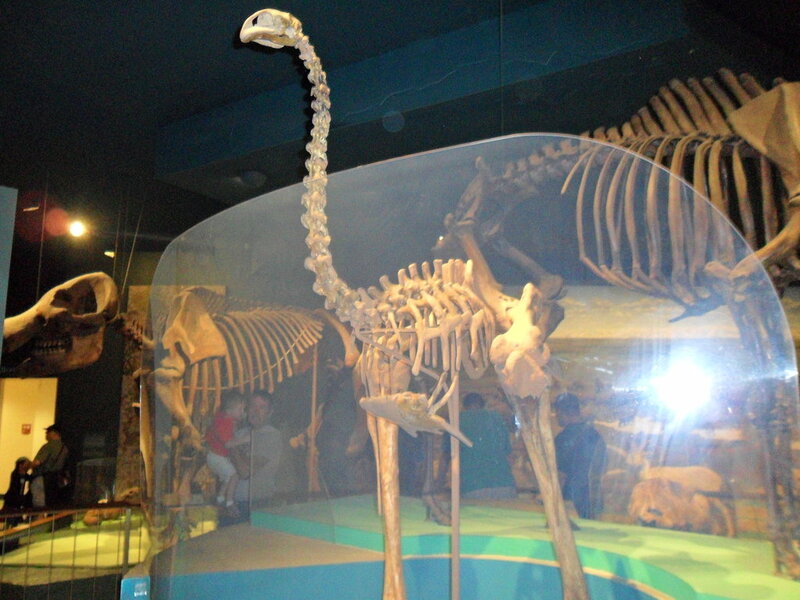 Giant Moa is an extinct bird that was discovered in the early 19th century and was named by Richard Owen in 1843. 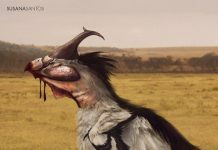 Its official name – Dinornis robustus – is translated as meaning “strange & robust bird.” It was considered to have been one of the largest moas to have roamed for thousands of years in New Zealand. It went extinct about 500 years ago. 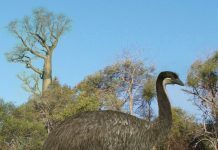 If you look at Giant Moa pictures, without knowing what you were looking at, then you might think that it was a very large ostrich. It has the same general body shape – with a few modifications. This bird was about 12 feet tall and weighed around 440 pounds. It was covered in feathers and these feathers would have been hair-like and have a reddish-brown tint to them. 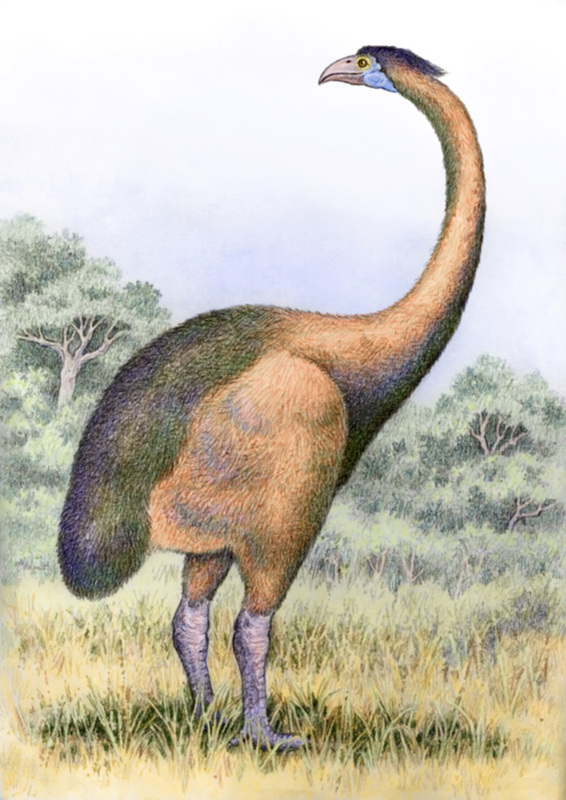 It had long, ostrich-like legs and powerful feet. It also had a long neck that allowed it to reach high vegetation. 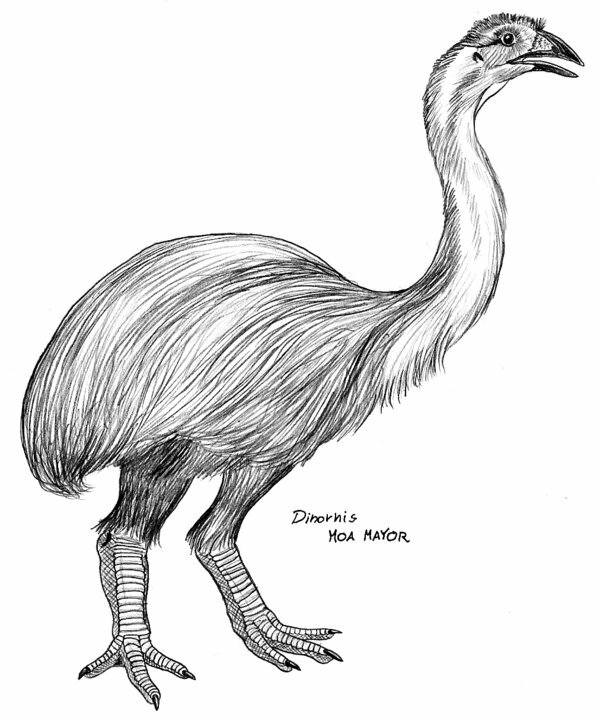 It is estimated that Giant Moas lived in New Zealand for at least 40,000 years – until they were pushed to extinction by Polynesian settlers who used it as a source of food. They are known to have been hunted until the 15th century – the year they became extinct. 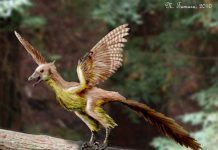 Some early studies have suggested that Polynesian settlers may not have been entirely responsible for this bird’s extinction. These studies claimed that the population of these birds were in decline a thousand years before settlers arrived. 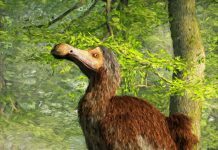 However, those studies have since been debunked for having too small of a data set to correctly model Giant Moa populations. 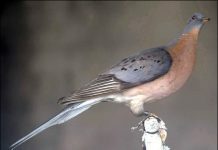 Current studies show that the population of these birds were stable and diverse. At least until settlers arrived. 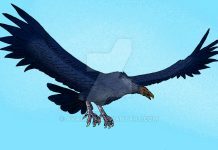 After settlers arrived it took only two hundred years for these birds to go extinct. This is probably due to hunting, although there are other possibilities. For instance, the settlers could have spread a disease to the birds they didn’t have an immunity to, or perhaps the settle brought rats to the island – rats which then fed on this birds eggs. Both of those scenarios are distinct possibilities as well.